Gary M. Zadick - UGRIN ALEXANDER ZADICK, P.C. Gary is one of the founding members of Ugrin. Prior to forming the firm, Gary was a Deputy Cascade County Attorney from 1978-1979 and an Associate Professor of Evidence and Criminal Procedure at the University of Great Falls from 1979-1981. Gary frequently lectures at the University of Montana School of Law and at other Continuing Legal Education seminars on the issues of insurance law, insurance bad faith, and other litigation related topics. He is also an invited faculty member of the University of Montana School of Advanced Trial Advocacy Program and a member of the Montana Supreme Court Commission on the Rules of Evidence and the United States District Court Local Rules Committee. Gary has tried numerous jury trials in state and federal court. Gary also devotes a significant part of his practice to mediation and arbitration as a neutral and is a member of The National Academy of Distinguished Neutrals. 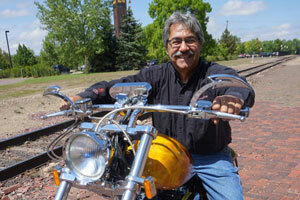 Gary was born in 1953 and raised in Great Falls, Montana. He was the President of the Cascade County Bar Association in 2005. He has been a Board member of various community organizations including the Red Cross, Paris Gibson Square Museum and the Cascade County Community Health Center.